Are there key practices that can eradicate over 90% of all symptoms? What if you could seem like a miracle healer just by knowing some key concepts that trigger healing throughout the entire body? Through the deeper understanding of the physiology of the body and the philosophy of natural healing, you can do just that. You can seem like a know-it-all healer who effortless causes "miracle healings" by understanding the Core Basics. The Core Basics include digestion, adrenal health, hormonal health and thyroid health. Master these foundational issues and see the incredible results that follow. Yes, it's true! Dr. Ariel is starting her very popular 12 Level Certification in a LIVE format beginning on Tuesday, September 9th at 5pm Pacific (UK/Europe, please join Dr. Ariel on Mondays at 6pm your local time). I will be continuing from Level 1 onto 2 and continuing to Level 12 for the complete program. 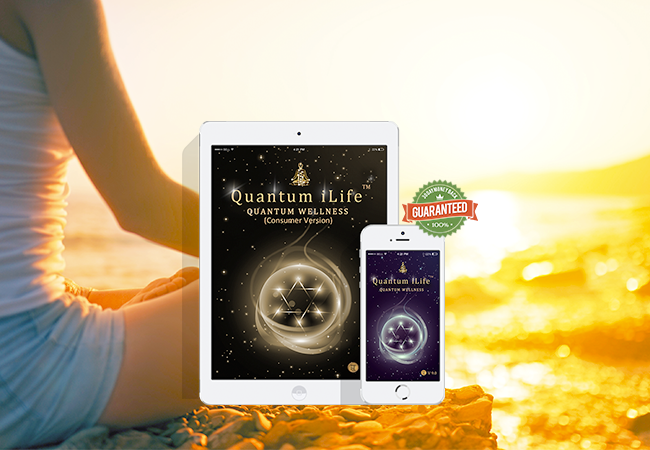 If you have wanted to learn more about natural medicine and combine it with your Quantum Infinity, now is your chance! Click Master the Core Basics to register now! - Why "leaky gut" is linked with almost every chronic illness. - The importance of adrenal balance for a strong hormonal and immune system. - How strong stomach acid can protect you from rampant infections in our environment. - Why most doctors get it wrong when it comes to thyroid health assessment. - Links to all 4 Live Webinars. - Recordings to every webinar. - Special frequency panels about heart health all exported to you each week! This is SO valuable and enhances your use of your app! - Direct access to a naturopathic doctor for your questions! Click Master the Core Basics to register now!